The return of legislators to Harrisburg is still more than one month away, but already their work has piled up. Now, the Pennsylvania chapter of the American Civil Liberties Union is ramping up its efforts to change the way the commonwealth handles criminal justice – echoing a priority of Philadelphia legislators and the state’s Legislative Black Caucus. The ACLU announced that it’s rolling out a “Campaign for Smart Justice,” with a mission to end mass incarceration. ACLU Legislative Director Elizabeth Randol told reporters that when lawmakers return to Harrisburg in September, one of the group’s priorities will be pushing a measure aimed at repealing automatic driver’s license suspensions for people with unrelated drug convictions. “Between 2011 and 2016 Pennsylvania suspended the licenses of almost 150,000 drivers that were unrelated to traffic safety,” she said. Another goal is getting a second package of bills in the long-gestating Justice Reinvestment Initiative over the finish line. According to WHYY, the project is aimed at keeping onetime offenders out of jail and lowering incarcerated populations. Prior to the recess, State Rep. Morgan Cephas, D-192, led her colleagues in unveiling a package of legislation that would push criminal justice reform and help incarcerated women and parents in Pennsylvania. I’m glad that we’re having vital, bipartisan discussions about criminal justice reform. I think it’s crucial for those discussions to include women and girls of color, Women are the fastest-growing segment of the incarcerated population. 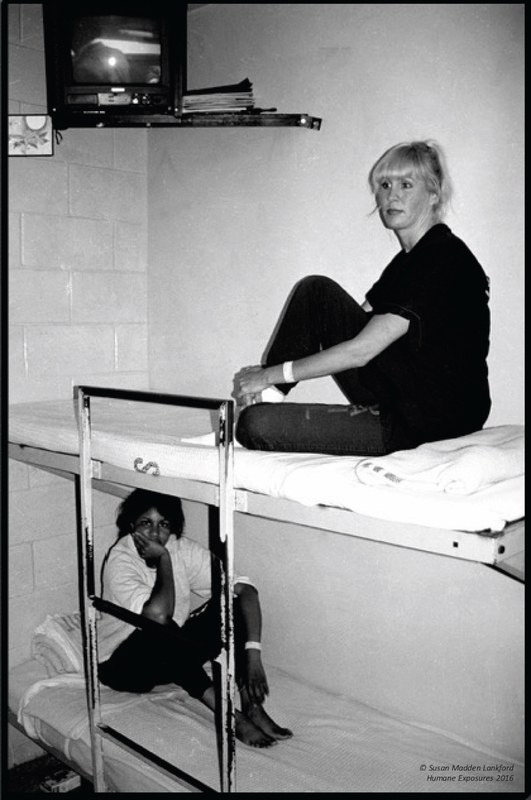 Since 1985, the rate of incarcerated women has increased at nearly double the male rate. Further, the ACLU reported that African-American women and women of color are significantly overrepresented in the prison population. African-American women are 30 percent of incarcerated women in the United States, but only 13 percent of the female population. Additionally, Hispanic women are 16 percent of incarcerated women but only 11 percent of all women in the U.S., Cephas said. She added that she plans to introduce a bill to create a Women and Girls Committee within the Pennsylvania Commission on Crime and Delinquency. “I believe this would aid the commission in its work as it specifically relates to research and programs that will have a direct impact on women and girls,” Cephas said. Other bills in the package include requiring state prisons to provide free feminine hygiene items to all female inmates. “While the Department of Corrections recently changed its policy internally to provide these products, my legislation would ensure this change to Pennsylvania law so that future administrations could not easily repeal it,” said State Rep. Isabella Fitzgerald, D-203. State Rep. Donna Bullock, D-195, wants free monthly telephone calls for incarcerated parents, a move she said would help children cultivate relationships and strengthen their confidence. Many women find themselves struggling with aliments, addiction or mental health concerns that put them at risk of relapsing. My proposed legislation would ensure that once they are released, they receive the health care and financial support needed to help them transition back into their communities. It can be a matter of life and death. Meanwhile, scaling back “draconian” state parole laws is also high on the ACLU’s list of priorities, Randol said. The issue came to the fore earlier this year when rapper Meek Mill was released from prison, where he’d been after a parole violation arrest. In what could be a sign that deals could more easily be reached in the coming legislative sessions, many of the ACLU’s priority bills are sponsored by Republicans — something Randol said is a pretty recent phenomenon. “This is definitely one area that bipartisan agreement can be reached to effect some really great changes for the people in the commonwealth,” she told WHYY. However, not everything on the group’s agenda is likely to see quite so kind a reception from both sides of the aisle.